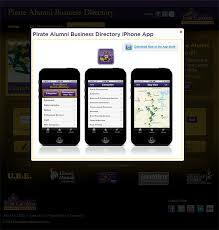 The East Carolina Alumni Association started its Business Directory in October 2013 to help ECU alumni to easily find other Pirate Professionals in local or global businesses, working to connect alumni members to each other to fulfill their needs for expert help, advice, services or products. Here you can showcase your business to more than 200,000 ECU alumni and help build a network of trusted alumni experts in a wide range of fields. 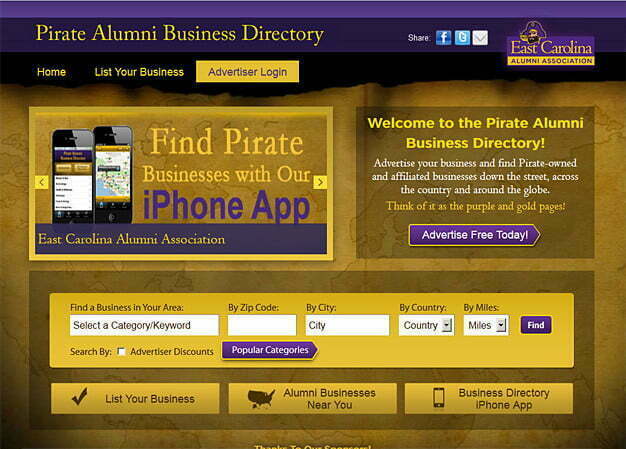 East Carolina Alumni Association East Carolina Alumni Association (http://www.piratebusinessdirectory.com/) has been able to extend its reach globally through its up to date directory, mass communitcations and and simple advertizing solutions that help a large number of alumini members keep in touch no matter how far afield they have scattered after graduation. By building the directory platform, ECU intended to keep the ties of fraternity strong while generating a reliable resource that could continually grow over the years. The website had to be able to support a large amount of information but stay easily connectable through the major social networking sites as well as by phone apps and email. 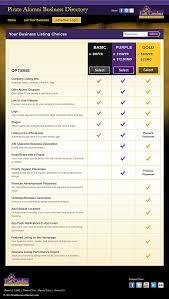 Navigation had to be user-friendly and all links had to respond and load quickly. Responsive links to their sponsors had to be included also. 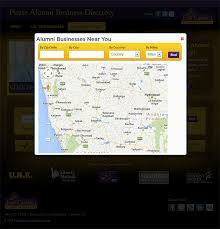 An in-built search engine had to provide fast results from key words and specific categories. Pulse Solutions was able to create this attractive and responsive site by using PHP and MySQL. Pulse included the use of the iPhone business app for seamless connectability from any location. A built-in message service and a 24/7 phone helpline provided easy contact facilities. East Carolina Alumni Association has been pleased with this site as it has increased the amount of members able to access this directory, enabling the alumni to keep in touch for life and continue in helping one another in their chosen life’s path.